When you visit one of our Hyundai dealerships--Ken Garff Hyundai Downtown or Ken Garff Hyundai Southtowne--you can expect to have a wonderful experience. We believe that each and every customer deserves to feel like their individual needs are being heard and taken care of and our teams make an effort to make the customer experience as seamless as possible. We know that our customers have high expectations, and we enjoy the challenge of not just meeting but exceeding those expectations each and every time you visit one of our Hyundai dealerships. Looking for a new car? Between our two Hyundai dealerships we have over 800 new Hyundai vehicles, including the newest 2018 models. Hoping to find a good quality used car instead? We also have a large inventory of pre-owned and certified pre-owned vehicles that include Hyundais but also a variety of vehicles from other top manufacturers. Can't find exactly what you're looking for in either of our inventories? 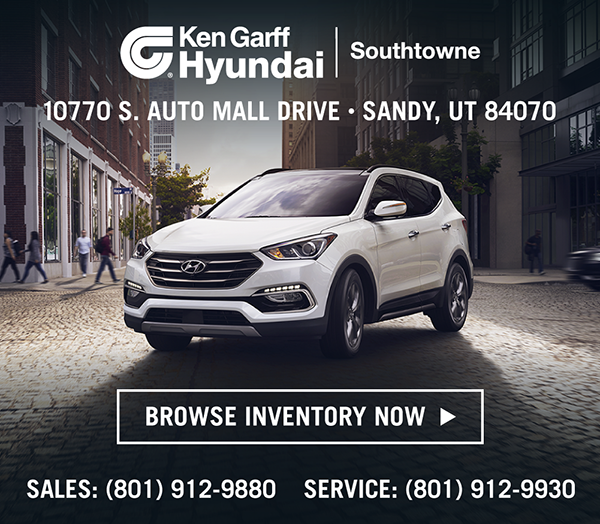 Our extensive dealer network provides us with greater access to both new and used Hyundai vehicles in the Salt Lake City area and our other regional markets. Simply let us know what you're looking for, and we'll do our best to find it for you as quickly as we can. In an effort to make the car buying process as easy as possible, both of our Hyundai dealerships participate in our GarffEase program which provides one easy buying experience. At our dealerships, you won't get shuffled between multiple salespeople. Instead, you'll work with just one person from start to finish--and that includes your purchase, financing options, and everything else. Both of our dealerships are conveniently located next to a freeway exit and are proud to serve the communities of Salt Lake City, Sandy, Draper, Lehi, Provo and more. 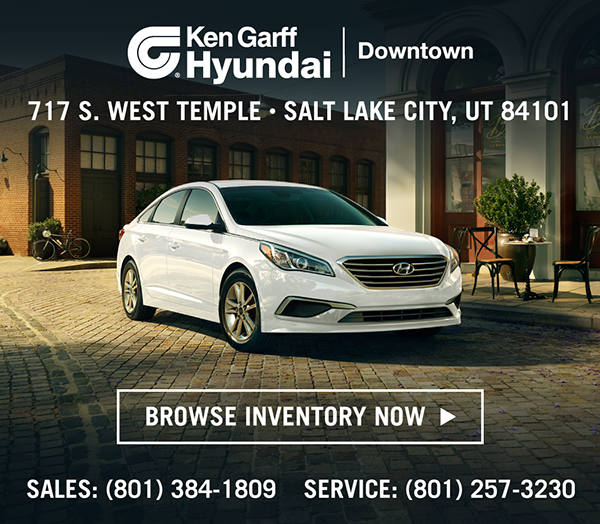 Visit Ken Garff Hyundai Downtown at 717 South West Temple in Downtown Salt Lake City and Ken Garff Hyundai Southtowne at 10770 South Auto Mall Drive in Sandy, UT. We look forward to making your next vehicle purchase an easy one!